With 30 per cent of football referees quitting every single year due to player dissent, the code is now fighting back in a big and groundbreaking way. Ahead of the upcoming local football season, players over 18 who commit an act of dissent by word or action against match officials will be issued a yellow card and immediately removed from the game for a 10-minute period. 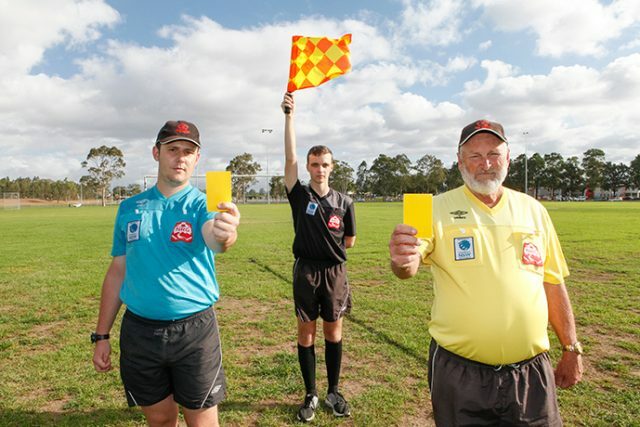 The Nepean Referees Group (NRG) and the Nepean Football Association (NFA) have fully endorsed the bold move, which was handed down as a recommendation by FIFA recently. NRG Referees Manager Graham Chapman said it’s been his goal for a long time to stamp out the violence and abuse of match officials at a grassroots level. “In the past referees have been able to yellow card a player for dissent but the player would continue to play the game,” he told the Weekender. Abuse towards match officials is at an all-time high, with football leading the way in dissent more than any other code, according to the veteran referee. 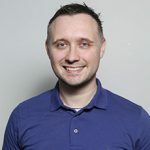 “Referees work hard to keep players on the field but players are constantly yelling at them, questioning them, abusing them and this is one of the big reasons we lose referees,” Chapman said. “On average we lose 30 per cent of referees every single year. For all those people we train, educate and develop, we lose them because players have screamed at them, bringing them to tears. Players won’t be the only ones punished for dissent with coaches, managers and club officials in the technical area also subject to the sin bin, if they commit an offence from the sideline. “It sends a clear message to players and adults that if you want to abuse referees you’ll be sin binned and if you continue, you’ll be sent off,” Chapman said. The NFA were the first grassroots football association in the country to adopt the ruling at the end of 2017. Since then, other regions in Australia are looking into adopting the new rule themselves. “I think by next season you’ll see it mandatory right across football in Australia,” Chapman said.